StreamLink Software CEO, Adam Roth, was featured on Cleveland.com on April 2, 2017 as top tech executive in Cleveland. See below for a brief excerpt. “Adam Roth, CEO of StreamLink: Roth is a tech visionary who has almost single handedly changed how non-profits raise grant dollars. StreamLink Software is a privately held company that develops a grant management software called AmpliFund. AmpliFund is at the forefront of redefining the way nonprofit and public sector organizations find, distribute, and report grant funding by using a centralized, federally compliant, data-centric solution. Roth formed StreamLink in 2008 in response to personally encountering a need for greater process efficiencies during a 15-year career in the nonprofit sector. Roth works closely with industry and government officials to facilitate the development of improved regulatory guidelines for managing grant funding using standardized data structures, speaking frequently on the topic to audiences around the country." 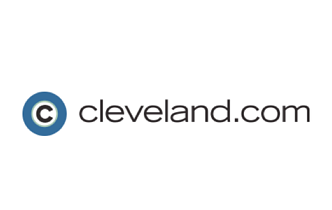 For the full article, visit Cleveland.com.